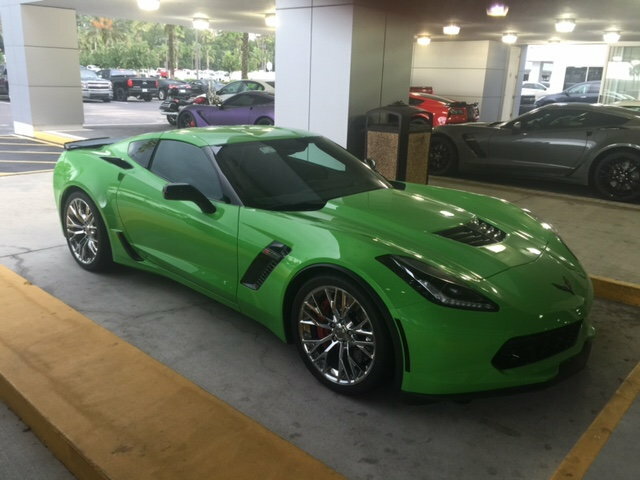 At Stingray Chevrolet. They have 32 vettes on their showroom floor at present. Last edited by plumalan; 08-03-2015 at 02:21 PM. I assume you mean Z06, did they remove any orange peel and give it a world-class paint job? That's not my favorite green but it might be the light. Paint and they do a superb job in their paint shop. Better than factory. I would buy/drive it. I like the uniqueness but would really like to see it in the sunlight. Fixed thread title for you. I like the idea of different colors, not sure that I would want a dealership's bodyshop doing the paint though. I have a friend name of Carlos who works for a high end bodyshop who does concourse paint jobs, at around $20,000. I doubt that the dealership takes the time to do that type of work. As that is the type of work I would want on my repainted C7. The colors are interesting, not for me, but good to bring in potential buyers to the dealer. 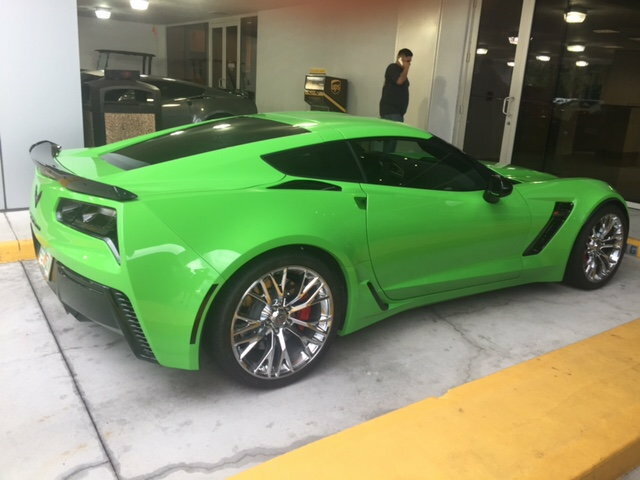 Know what you call a $20,000 paint job on a C7? 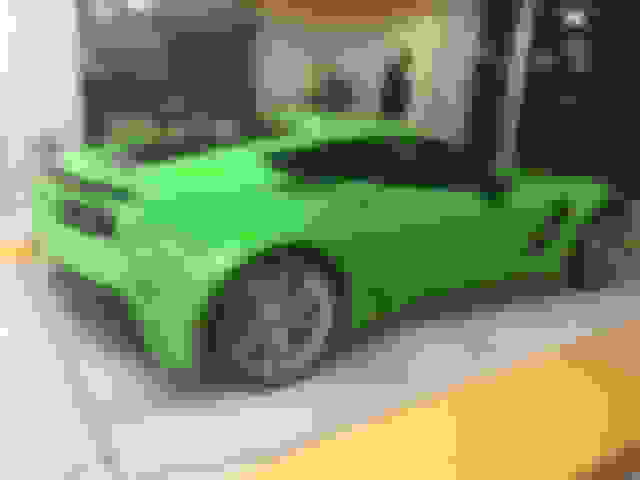 Looks similar to the Mustang's 'Gotta Have it Green', although I can't tell if it has the yellow pearl in it. 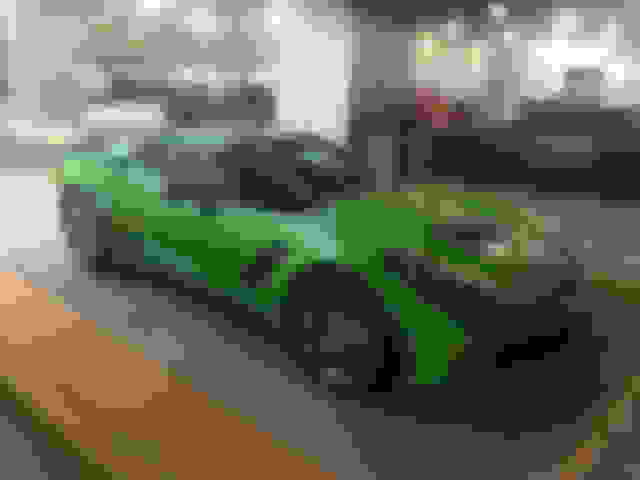 I would rock that green C7. Question: Is that your car or just one you happened to see there? I like it even more in the better light. Wonder if it glows in the dark? What was the price on it?